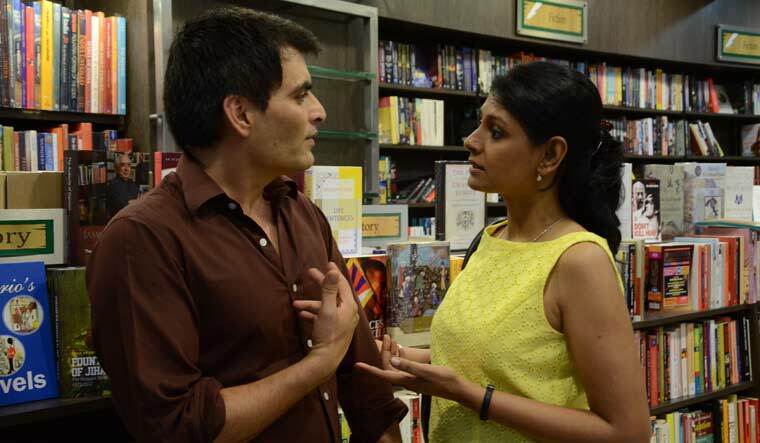 The last time I saw Manav Kaul and Nandita Das together was in one of the segments of Onir’s I Am (2010). Kaul, till then, had been seen in only a few films sporadically; Das had already established her mettle as an actor. In I Am, an anthology of four stories, the two had played a couple with conflicting opinions. In a short, they were together on screen very briefly and yet had an intrigue. I wanted to see more of them together. Now, in Soumitra Ranade’s Albert Pinto Ko Gussa Kyun Aata Hai, there is a lot more of them together. But the film is not about them. Ranade’s is a “conceptual remake” of the four-decade-old Saeed Mirza film of the same name that scrutinised the post-Emergency era through the story of Albert (Naseeruddin Shah), a disgruntled young man, also a car mechanic, from the lower-middle class, and his family. It was about the things that concerned him, his father who was working in a Mumbai mill, a sister who went out to work and a brother who had dreams that were often termed unconventional. And, also Stella, Albert’s girlfriend (Shabana Azmi)—a working and independent woman—who often instilled sense into her short-tempered boyfriend. Mirza’s take on the society of that time, even if it was with Albert at the centre, was built through myriad characters and multiple storylines. Ranade’s is not that. For the most part, it limits itself to a few key characters, three to be precise—Kaul’s Albert, Das’s Stella and Saurabh Shukla’s Nayyar. Kaul’s Albert is not from the lower-middle class. He is a son of a government officer, well-educated, and has seen the world growing up while his father traversed different regions on-job. Unlike his younger brother Dominic, the prodigal son, Albert is righteous, well-settled in a private job, and content, too. But we live in times of uncertainty, distress and betrayal. An incident with a loved one in the family is more than a valid reason for Albert to flip; for him, to question everything that is happening around—in society and in the country at large. Unlike the world Mirza created, Ranade’s characters are not working in mills or as mechanics anymore. But, they are in a rat race. Always in a hurry to take over. Always ready to make someone else the scapegoat to save one’s own failures. Corruption is at its peak, so is poverty. We are introduced to Albert on a Mumbai road when he boards Nayyar’s jeep. In a parallel plot, Stella is filing a missing report for Albert in a police station. The plot keeps switching between the two, and at times goes into flashbacks while building a backstory of what conspired. Albert is on a mission to kill the people who have implicated his father in a land scam case, Nayyar is the man deployed by the hitman helping Albert. As they move through the Mumbai-Goa pastures, beautifully captured by Rahul De, conversations happen, building up the premise. Albert is the paragon of the frustrations one deals with in the world today. Farmers are dying of drought, he is petulant to still see them smiling while greeting people from the cities. A group of nomads with little resources pass by and look happy, he is amused with the happiness that surrounds them. When everyone is singing praises about him and his good-natured heart when the police is probing the missing report, Albert is questioning everything and everyone. There is seething anger, doubtfulness and angst. It is not a surprise then that Ranade's Albert is not sure if the woman he is in a relationship with, is really in love with him. And if she is, why? But her thoughts remain with him. In every woman he comes across on the way, he sees a version of Stella (with Das’s superlative performance). These are also the instances where the film really picks up, the chemistry between the two lead actors being remarkable and the classic number Abhi Na Jao Chodkar (Hum Dono) giving it a fillip. Otherwise, the pace remains slow, yet intriguing. It is not anywhere close to Mirza’s cult classic in the building of the story, but in essence, it is—capturing the little instances of fear and worry in a middle-class person.